Today I went with my husband to this beautiful baby boy’s funeral. He was only 2 days shy of being 8 months. You see, earlier on, James parents noticed he had a cough that wouldn’t go away but they couldn’t figure out what was wrong. They visited doctor after doctor, and tried to find a solution. It seemed just like yesterday that James’ wonderful parents, David and Kristy came to our house for dinner. They were filled with excitement for the arrival of their little one! They already have a beautiful 3 year old daughter, and were looking forward to James’ arrival and then he was born March 19. I had the lovely chance to officially meet James a month ago at the Susan G. Komen Race. 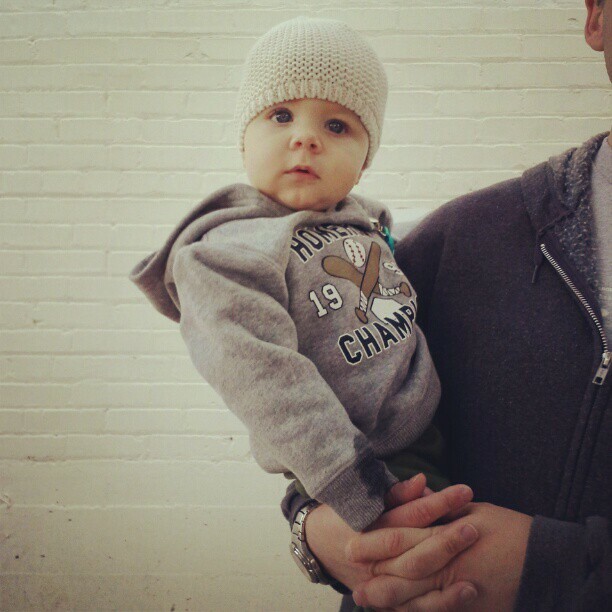 He had these beautiful indescribable eyes, and he was a very laid back but happy baby. He had the cutest little smile and I enjoyed the time we shared. When my husband and I found out that they finally knew what was wrong, we prayed for the family. Apparently James had Severe combined immunodeficiency better known as “SCID” . SCID has also been deemed “the bubble boy disease” since those with it are very vulnerable to infectious diseases. In 1976, a movie called, “The Boy In the Plastic Bubble” was released based on the life of a young child who lived with SCID. Poor lil James had SCID, and in the end it took his life. So why am I sharing this with you? Because the parents said today that if you know of someone with a newborn to have their child tested for SCID. It is very rare, only 1 in 100,000 children typically have it, but why not just find out? The parents gave us ribbons to wear in James honor, and they are passionate about not only sharing their faith, but getting the word out…. I am so sorry for their loss, and I’m so sorry that we won’t get to see James grow up to his full potential, but what I can do is pass the message along, and encourage others to find out about SCIDS and what they can do to help. 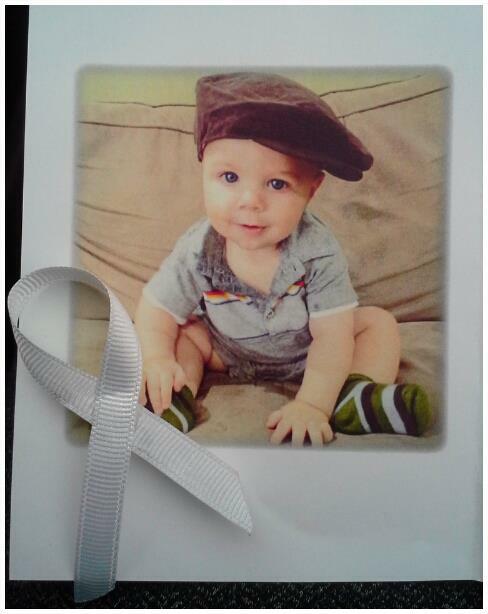 In lieu of flowers, the family asked that donations be made to the SCID Angels 4 Life Foundation. Their mission is to increase awareness, benefit research, and provide parent and family education for those affected by SCID. So today’s post goes out to James Henry. That his legacy will live on and people will get their newborns tested for scids and that other children will have a chance. The Virus took over so fast, poor James wasn’t able to fight it off, but with his life, he will touch many others, and hopefully others will get the word out. ← Quick & Easy Yummy Dip!